In 1947, in the small port of Texas City, it was commonplace to go down to the docks when a fire broke out to watch the fire service tackling the flames. On the morning of April 16 that year, the fire that was smoldering on board a visiting French vessel, the SS Grandcamp, was particularly alluring with clouds of strange yellow-orange smoke. Firemen were struggling to extinguish the fire, which kept reigniting. Eventually they decided to seal the hold and fill it with steam in the hopes of saving the cargo. This failed too, and by this time water around the base of the ship had started to boil. Water from fire hoses had vaporized before reaching the flames and the sea water splashing against the vessel instantly turned to steam. The unusual colors of the smoke set off a red flag with a chemist working in the vicinity. He had been told that the Grandcamp was carrying grain, but the yellow-orange color of the smoke, coupled with what appeared to be the remnants of paper bags, worried him. These were signs of the highly dangerous chemical, ammonium nitrate. Before he had time to react, a huge explosion ripped through the port. The Grandcamp had blown up in what is, to this day, the biggest industrial disaster in American history. The ship had indeed been carrying ammonium nitrate; the war munitions were being repurposed as fertilizers and the cargo had been bound for Europe. The pressurized steam pumped into the hold had liquidized the already heated chemical to produce volatile nitrous oxide. The explosion blew 2,200 tons of ammonium nitrate literally sky-high. There was no hope for most in the vicinity. The men, women and children who had been watching were lost. Texas City’s entire fire service, save for one man, were killed. The resulting mushroom cloud reached some 2,000 feet high. 1,000 buildings were destroyed, including oil refineries and chemical plants at the docks. 10 miles away people were knocked to their knees by the force of the blast, and 40 miles away in Houston windows were shattered. The blast could be felt by people 250 miles away in Louisiana. Some 900 miles away in Denver seismographs registered the incident as an earthquake. Striking telephone operators rushed back to work when they heard about the disaster and after a short delay, emergency services were scrambled to attend from other areas. As well as the blaze down at the docks, many of Texas City’s homes and businesses were on fire. Along with the Grandcamp, two other large vessels were in port that day. A second ship, the SS High Flyer, also carrying ammonium nitrate as well as sulphur had started to burn. Attempts were made to tow it out to sea, but it proved impossible to move it from the ruined harbour. 15 hours after the original explosion, the High Flyer also exploded, in turn causing the destruction of the third vessel. This second explosion was of equivalent force to the first, although evacuation of rescue personnel ten minutes beforehand meant far fewer casualties. The final death toll that day was estimated at 581, although it was impossible to calculate exactly how many had been lost. The port had many visiting seamen and itinerant workers. 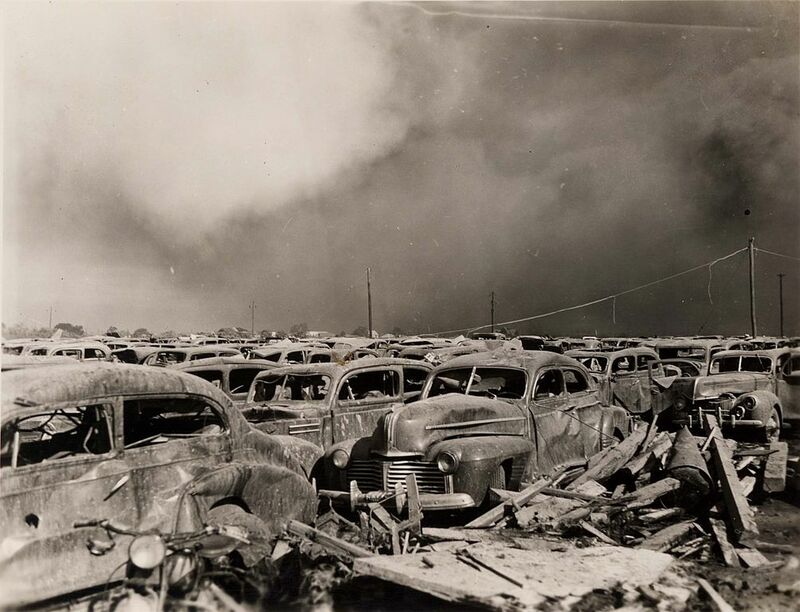 The Texas City explosion caused many bodies to simply cease to exist. The sheer scale of the destruction was unlike anything seen before. An estimated 5,000 people were injured, out of a population of 18,000. Not a single Texas City family escaped without either injury, loss of life, or serious damage to their property. The ship itself, some 6,350 tons of steel, was blown into pieces and those pieces shot through the air at supersonic speeds. One man who survived unscathed managed to crawl under a car as metal rained down around him. Lying beneath the vehicle he could hear pieces of debris hitting the car above him. Two sightseeing planes fell from the sky when their wings were ripped off. The Monsanto chemical plant 300ft from the Grandcamp was destroyed and 145 of its 450 workers killed. Enormous chunks of metal from both the Grandcamp and the High Flyer smashed into pipes and oil storage tanks at nearby refineries starting more fires. The Grandcamp’s anchor, weighing 1.5 tons was thrown a mile and a half inland and sank 10ft into the soil on landing. Buildings burned for miles around and the city was covered in oily smoke. It took a week for fire fighters to extinguish the blaze at the docks. There’s a lot to learn from the Texas City Explosion. While the original cause of the fire remains unknown. It has been suggested that a discarded cigarette could have smoldered overnight in the hold. Safety procedures for transporting such volatile chemicals were lax at the time. Longshoreman later reported that the packages had felt warm to the touch even when they were being loaded. Following the incident some 3,000 lawsuits were filed against the federal government claiming negligence in manufacture, packaging, labeling, storage, loading and fire prevention. In today’s money, the damage caused would exceed $1 billion. Seventy years later, there are far more rules governing safe transport and storage of dangerous chemicals. But an important lesson remains valid today: evacuate as soon as possible when things start to go wrong. It is estimated that several hundred people were watching the initial fire down at the docks. This had become something of a ritual for locals when the fire service was called out. Afterwards, survivors spoke about the particular beauty of the flames and how they had looked like a glorious sunset in the yellow-orange smoke. The biggest regret must be that children were also allowed to go and watch. Had the area been properly evacuated as soon as the fire took hold, casualties would have been far fewer. As it was, those who stood just a few hundred feet away stood no chance in the face of one of the biggest non-nuclear explosions the world has ever seen. It is to be hoped that a catastrophe like this will never happen again. However the nature of life is that things do go wrong, and even a much smaller disaster could cause death and injury to those who had stayed to watch. The message we must take from the losses of Texas City in 1947 is that when we’re alerted to a problem, we need to move as far away from it, quickly and without panic, as we possibly can. 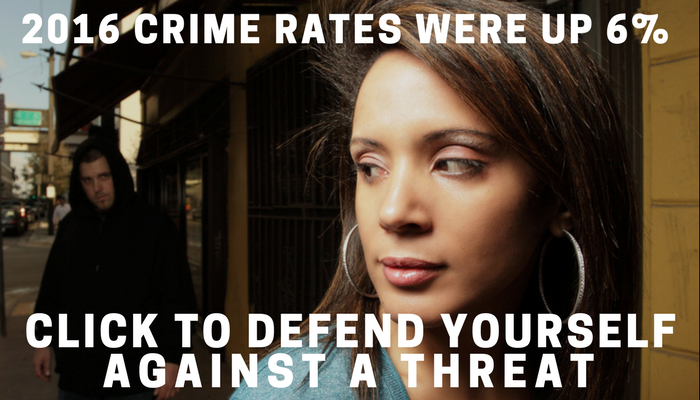 This lesson applies equally to other explosion threats as well. It is not safe to assume there will be just one incident. Instead, assume there will be more and get yourself and your loved ones to safety without delay.